Academic researchers and journalists often ask me why and how the New People’s Army (NPA) has preserved itself and grown in strength in the last 50 years. I share with you my answers to their questions. The NPA has a just revolutionary cause, which makes it invincible. It is fighting for the national and social liberation of the Filipino people, mainly the toiling masses of workers and peasants, against the three evil forces of foreign monopoly capitalism, domestic feudalism and bureaucrat capitalism. The revolutionary struggle becomes even more just when it confronts a brazenly treasonous, tyrannical, brutal and corrupt regime like that of Marcos or Duterte. The NPA is led by the Communist Party of the Philippines. This revolutionary party of the working class has defined the general line of people’s democratic revolution and the strategic line of protracted people’s war, which allows the NPA to avail of the wide countryside and the support of the peasant masses to grow from small and weak to big and strong . The reactionary armed forces, police, and paramilitary auxiliaries are on the losing side because they are instruments for oppressing the people and preserving the daily violence of exploitation under the rule of the big compradors, landlords and corrupt government officials in the service of US imperialism. The broad masses of the people understand that they have no way to change the oppressive and exploitative ruling system but to wage people’s war because elections controlled by the exploiting classes always result mainly in the rotation of their political agents. The underdevelopment of the economy, high rate of unemployment and widespread poverty will remain and grow worse so long as the exploiting classes and their imperialist masters take superprofits and press down the subsistence level of the toiling masses. The strategic line of protracted people’s war has been successful in the last 50 years in allowing the NPA to occupy strategic areas all over the countryside in the archipelago; and to use these for guerrilla warfare in the stage of strategic defensive. The NPA now has 110 guerrilla fronts in 73 out of 81 Philippine provinces. It is now developing the advanced phase of the stage of strategic defensive, in which the tactical offensives of NPA platoons and companies can become more frequent and successful against weak points of the enemy forces. The time will soon come that the stage of strategic stalemate will be reached when NPA companies and then battalions will be able to wage regular mobile warfare and launch tactical offensives that can wipe out larger enemy formations piece by piece and liberate entire towns and provinces. The strategic stalemate shall be far shorter than the stage of strategic defensive. By the time that conditions are ripe for the stage of the strategic offensive, it shall be the turn of the enemy to be on the strategic defensive. The NPA shall have acquired the capability to mobilize battalions and regiments for knocking out the final strongholds of the enemy and for seizing the cities. There are those who think that an armed revolution is successful only after it overthrows the city-based government and seizes the presidential palace. But the armed revolution is already establishing the people’s democratic government in the countryside. This revolutionary government of workers and peasants is in charge of public education, mass organizing, land reform, production, health and sanitation, self-defense, administration of justice and arbitration, cultural work , disaster relief and environmental protection in the guerrilla fronts. At present in the stage of the strategic defensive, what are the weak points of the enemy that the NPA can at will target in tactical offensives? What else can the NPA do? When the enemy forces concentrate to launch an offensive in superior strength, the NPA can retreat or shift position and observe what weak points appear in the deployment and operations of the enemy side. As sure as the sun rises and sets, the NPA and the people are able to see the wide gaps between enemy points and the lines of supply and patrols, and can proceed to wipe out the enemy forces part by part. Even when the overall armed strength of the enemy is far larger than that of the NPA, the enemy forces are limited and cannot cover more than 10 percent of Philippine population and territory at any given time. 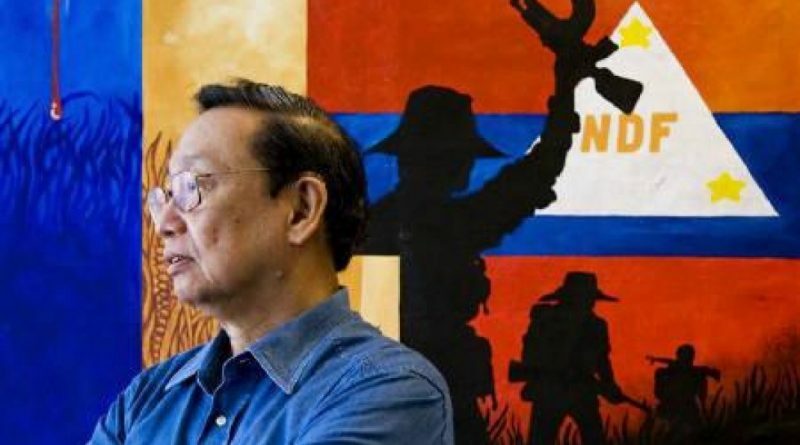 The enemy forces can concentrate anywhere but so can the NPA elsewhere to target weak points of the enemy forces, such as small army detachments, police stations, security forces of unfriendly business enterprises and plantations, and bodyguards of hostile politicians, warlords, and crime lords. The reactionary armed forces and police have their own ways of reducing their personnel for combat: they take over civilian functions and use too many patrols and too many checkpoints for the purpose of mass intimidation and extortion. In addition, the NPA can compel the enemy to defensive positions by putting them under a cloud of harassments and by destroying facilities of mining, logging, and plantation companies on the just ground that these are instruments of extreme exploitation of the working people and destruction of the environment and agriculture. Whenever the NPA takes full initiative in launching a tactical offensive against a certain enemy target, it can also prepare an extra force to ambush the reinforcing or pursuing enemy force. On a larger scale, if it has sufficient forces for the purpose, the NPA can deliberately lure in the enemy for annihilation in a series of battles within a certain area. Furthermore it can create the opportunity for other NPA units to launch their tactical offensives elsewhere. The CPP has announced recently that it has laid stress on further developing extensive and intensive guerrilla warfare on the basis of a widening and deepening mass base and delivering headblows to the enemy. More than ever, the NPA has the capability to deliver head blows to enemy command posts or to the urban dens of the most despicable bosses of the regime with rural-based commando teams as well as with armed city partisans. The high-tech equipment of the enemy can be countered. Air planes and helicopters are noisy. The most silent drones cannot distinguish the NPA fighters from the masses. It is not the style of the NPA to make permanent large encampments in isolated areas. It uses only temporary camps in connection with politico-military training and preparing for certain tactical offensives. As regards computers and cellphones, the NPA communications personnel have learned to use codes and delete or store away data. There is no limit to the kinds of tactical offensives that the NPA forces can launch on its own initiative so long as they have the elements of people’s support, precise intelligence, meticulous planning, training and discipline of the rank and file, and the daring of commanders. But the NPA has simple overall rules for it to be able to preserve itself and gain further strength: always launch only tactical offensives that it is sure of winning and avoid any decisive engagement that puts at risk the very life of the NPA in any guerrilla front. Thus, the enemy has failed to destroy any guerrilla front, except in its press releases for psy-war. The propaganda of the US-Duterte regime and its armed minions is that the NPA is on the way to being destroyed. For the purpose, the regime is in a frenzy of faking surrenders and encounters, community support, development projects, and localized peace talks, while they carry out real mass arrests, massacres, artillery shelling, bombings, forced mass evacuations, and landgrabbing to gain the people’s wrath. It has formed a national task force to carry out all these tactics systematically and to prepare for the imposition of fascist dictatorship on the people. It is absolutely necessary to expose the truth about the crimes of the US-Duterte regime and its armed minions by all means of information. At the same time, the broad masses of the people are calling on the NPA to intensify their tactical offensives, broadcast their fighting victories, and demonstrate that the regime and its armed minions cannot go on committing their grave crimes with impunity. The NPA enjoys the support of the people and the people expect more brilliant victories than ever in the people’s war for national liberation and democracy.